Program Directors in MCB regularly attend scientific meetings and workshops in an effort to garner input from the community, spread the word about funding opportunities, recruit panelists, and encourage submissions to our division. Last November, Dr. Suzanne Barbour, Program Director for the Cellular Dynamics and Function cluster traveled to San Antonio, Texas for the 2014 Annual Biomedical Conference for Minority Scientists (ABRCMS). There, she presented the breadth of opportunities at MCB available to biomedical researchers through a very well attended panel hosted by the MCB-funded American Society of Microbiology LINK program. As a part of the same session, ASM LINK (Leaders Inspiring Networks and Knowledge) representatives presented data outlining their initiatives to improve mentoring through in-person workshops, webinars, and discussion forums known as “Mentoring Mondays”. ASM LINK seeks to build strong “links” between established research investigators and early-career scientists, undergraduate faculty, and trainees (students and fellows). In addition to these on-going activities, ASM LINK also sponsored travel awards for NSF eligible post-doctoral scientists and research faculty to serve as presentation judges at ABRCMS. Travel awardees were invited to participate in a two-day Mentoring Strategies Workshop before the meeting. This workshop focused on tackling the greatest mentoring challenges, especially as they relate to building interdisciplinary research teams and broadening participation in STEM. Dr. Barbour views attending ABRCMS “a unique opportunity to showcase research/ training opportunities in MCB, with the goal of inspiring underrepresented bioscientists to work on projects in the MCB mission area”. She is optimistic that her presentation in conjunction with the ASM LINK program will lead to a range of positive outcomes especially with respect to broadening the community of applications to MCB. It is my pleasure to welcome you to this new MCB blog! The MCB blog is designed to enable faster and more efficient communication with our community of PIs and to provide a forum in which the community can let us know their thoughts and comments. The blog will host the MCB Newsletter (published twice a year) and will also provide to the community news about our programs, proposal and award statistics, the highlights of research supported by MCB, and much more. The Division will post to the blog at least once a week. Broadening participation is one of the two merit review criteria at the NSF, and unlike the other criterion (intellectual merit), broader impacts continue to generate some confusion for our PIs. 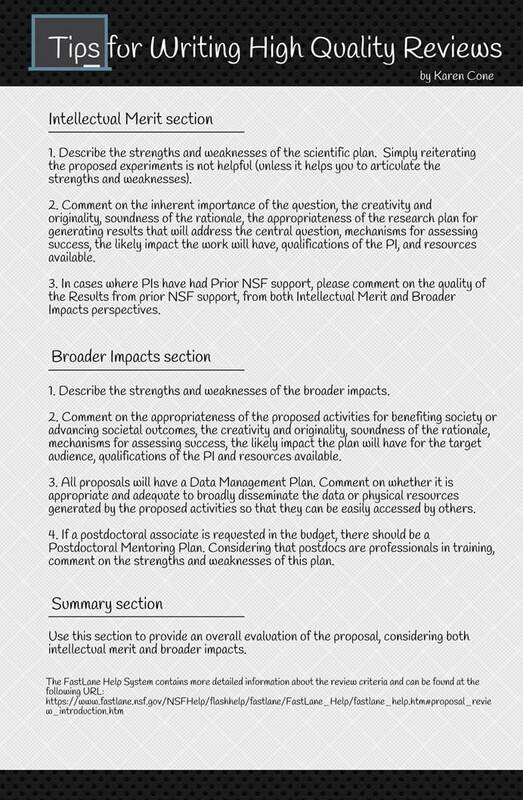 We will use this blog, in an ongoing process, to explain the broader impacts criterion, and to highlight outstanding examples of broader impacts from MCB PIs. You are encouraged to use this blog as a source of information and as a venue in which your thoughts can be shared with us and with the broader community. Don’t hesitate to send us your comments and suggestions not just on the blog but also on the Division and its programs. Dr. Reyda Gonzalez-Nieves acquired a Bachelor’s degree in Biology from the University of Puerto Rico in 2003. After graduating with an undergraduate degree she was accepted as a fellow to the Hispanic Association of Colleges and University Fellowship Program. During this fellowship, she worked at the Food and Drug Administration as a microbiologist from January 2003 to December 2003. She was accepted into the Uniformed Services University of the Health Sciences Molecular and Cell Biology Doctoral program in the fall of 2005, where she completed her doctoral degree in August of 2012. During graduate school, she successfully applied and was selected for the Presidential Management Fellowship (PMF). The PMF program is a highly competitive fellowship for all academic disciplines that focuses in training future government leaders. She started working at NSF on April 07, 2014 and is currently working as a Biologist in the Molecular and Cell Biology division in the Directorate for Biological Sciences. Dr. Chloe N. Poston is currently a AAAS Science and Technology Policy Fellow in the Division of Molecular and Cellular Biosciences, where she plans to work on topics related to broadening participation in STEM and communicating the impacts of science with the public. Prior to her placement at NSF, Dr. Poston was a post-doctoral scientist at Eli Lilly and Company. She earned her masters and doctorate degrees in Chemistry at Brown University where her research interests focused on global proteomic analysis. During her doctoral studies, Dr. Poston served as the graduate representative on the university’s Diversity Advisory Board. In addition, she chaired the planning committee for the Graduate Students of Color Conference from 2010-2012. Dr. Poston is passionate about STEM education and outreach, and taught 9th grade biology for a year through the NSF Graduate STEM Fellows in K-12 Education program. She has also served as a Mentor to undergraduate students through The Leadership Alliance and FASEB MARC Peer Mentors Program at ABRCMS meetings since 2010. Dr. Poston is a proud graduate of Clark Atlanta University and continues her outreach through her blog called The Poston Collective, which discusses relevant topics at the intersection of STEM, policy, education, and diversity.